In all sectors of U.S. specialty coffee, lots of the most notorious and beloved coffee professionals are white men of European descent, and that ideal often unconsciously informs people’s mental picture of what a coffee person looks or sounds like. Alternative coffee media outlets such as the Chocolate Barista and Boss Barista podcast have started to challenge those norms, but even as non-white, non-male coffee workers have begun to expand the popular notion of who can be seen as an expert in coffee, most major coffee culture forums haven’t yet started to address the linguistic and cultural barriers that coffee workers from producing countries experience when engaging with U.S. coffee culture. Looking at cafe culture, entry-level hiring bias, access to education, and the nuances of communication in commerce, six Latin American coffee experts discuss the myriad ways that language and culture affect their engagement in and with the U.S. coffee world. Ximena Rubio, who works for Quentin Café in Mexico City, worked as a barista for several years before moving into wholesale and quality control. She sees many customers from the U.S. approach baristas with a presumption that everyone should speak English—even outside the U.S. “Not to generalize, but sometimes when customers from the U.S. come in, they don’t say hi and they speak right at baristas in English, assuming we speak it too.” In the case of her shop, there is usually at least one English speaker on shift at any given time, but in less high-end shops there are sometimes none at all. This not only makes it difficult for baristas to know what drinks to make, it shows a lack of mutual effort toward communicating; learning a few key phrases or even just greeting baristas in Spanish shows at least some level of care. Another barrier for Latinx baristas who speak English as a second language in the U.S. is that business owners are sometimes reluctant to hire them for entry-level barista jobs, even when qualified or overqualified. A Bay Area coffee worker who asked to remain anonymous pointed out that sometimes managers don’t want to hire baristas with strong accents from Latin America even though they would have no problem hiring baristas with thick British or Australian accents: “It’s about their expectation of ‘the right fit.’ Good people still have unconscious biases, and because of that they often surround themselves with workers who look like them and come from similar backgrounds.” With that hiring bias at the entry level, it can be difficult for Latin-American workers in the U.S. to get barista jobs and move through the ranks into higher-level coffee jobs through the conventional career pathways many U.S.-born baristas use. So, when Latin American coffee workers do make it into the few sought-after positions in the green coffee sector, they are often highly educated with degrees and practical experience in agronomy as well as competency in multiple relevant languages; in other words, to make it to the upper tiers of the industry, they have to be many times more qualified than their white, U.S.-born peers. One of the main places Rubio sees language barriers manifest is in the educational access of her barista community in Mexico City. Because so many educational resources—popular blogs and Facebook forums such as Barista Hustle, news and culture publications such as Sprudge and Barista Magazine, and valuable reference books such as The World Atlas of Coffee—are in English only, baristas in her region often aren’t able to advance their craft to the degree of baristas in other regions. Mayra Orellana-Powell, Honduran coffee producer and founder of producer community organization Catracha Coffee Co., points to the huge opportunity that the industry has to allow more producers to learn and improve their craft by producing more Spanish-language coffee resources. “We are the producers of coffee; we are the people who actually have the ability to make great coffee. We need to have access to education, especially on increasing sustainability. Many SCA lectures and materials are not translated, and we’re missing out.” Her goal is to encourage people to actively think about solutions. “We need to be having this conversation. If those things aren’t happening, how can we make them happen?” She’s glad to see improvement but wants people to keep pushing forward. Ximena Rubio. Photo courtesy of Menachem Gancz. Rubio says that not only can language barriers do a lot of harm to farmers, but that sometimes green buyers can exploit that gap, whether intentionally or unintentionally. For farmers in Latin America who don’t speak English, it can be tricky not only to negotiate a fair price for their product, but also to accurately assess the quality of what they’re producing. She explains how coffee buyers can claim fairness via Direct Trade while reaping the fiscal benefits of skipping the middleman; they often neglect to consider the fact that importers and exporters are usually more equipped to foster an equitable negotiation because of a shared language. “Because people negotiate with people who can’t understand them as well as the importer can, they’re benefiting twice from skipping the importer. There are so many great producers who don’t even know specialty coffee exists. They may have a Pacamara that’s 90 points, and they don’t know how expensive that should be.” At that point, buyers can offer them a deal that’s better than what they were asking, but still not even close to what they should be paying, and still characterize the purchase as a fair or even charitable act. Mayra Orellana-Powell. Photo courtesy of Jose Reynieri Hernandez. Quiñones also points out that where many green buyers who only speak English might have to go through multiple translators to communicate with producers who only speak indigenous languages, buyers who are fluent in Spanish will have an easier time navigating translation to get crucial information about how the coffee was produced. Since (like coffee itself) Spanish is a language brought to Latin America through colonialism, the incredibly numerous and diverse indigenous languages of Latin America are often farm workers’ primary language, informing the nuances of their Spanish and adding complexity. In situations like this, Spanish is a way of meeting in the middle. Abner Roldán. Photo courtesy of Karla Quinones. When asked what the industry can do to improve communication between cultures, all the coffee workers I interviewed suggested that English-speaking coffee folks take on some of the onus for bridging the language gap, from farm to cafe. As Roldán and Rubio both suggest, it’s not just the job of Spanish speakers to make communication happen—especially those in Spanish-speaking countries. Orellana-Powell is excited to see more English-speaking coffee people leaving their comfort zones and starting to learn Spanish and explore Latin coffee cultures, which are rich and diverse. “There’s a huge market of Latino consumers, cafes, and roasting companies in the U.S. and in Latin America, and we need to stop ignoring that market.” Quiñones adds that while she’s excited to see more cross-cultural engagement, these markets are taking off regardless of whether the U.S. acknowledges them or not, and in the process they are creating their own media and trends. In hiring, managers and owners should start thinking of fluency in Latin American languages and cultures as an asset, not just at the green coffee level but even at the entry level. The U.S. borders Mexico and is home to more Spanish speakers than the entire country of Spain, and there are many coffee lovers out there who communicate better in Spanish than English and would benefit from service that resonates with them. As the coffee industry struggles with global issues such as climate change and labor shortages, it’s time to examine how certain things or people have come to be seen as more valuable than others and reassess those values. 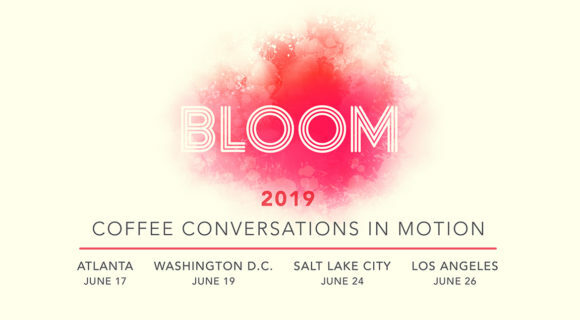 Looking to the future of coffee, white U.S.-born Americans need to start thinking of linguistic and cultural barriers faced in the industry as a group challenge requiring work on all sides, rather than just a problem for Spanish speakers in coffee.